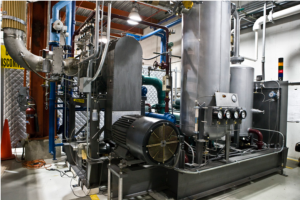 CMTF cryogenic system is supplied by a state of the art Superfluid Cryogenic Plant to supply 40K, 5K, and 2K helium up to 500 W. 2K operations achievable through cold or warm compression systems. Cryo Module Test Stand 1 (CMTS1) used to test 1.3 GHz & 3.9 GHz cryomodules for the LCLS-II project. PIP-II Injection Test Stand (PIP-II IT) program to test the front end of the future PIP-II Linac. 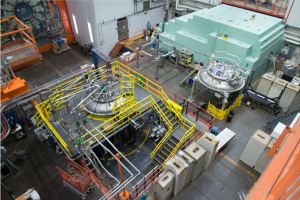 Two Tevatron satellite refrigerators capable of 125 L/hr 4.5K liquefaction rate. Kinney Vacuum Pump enables 2 K operations with maximum 2K capacity of ~60W. 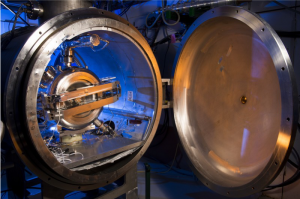 NML Cryogenic System cools a cryomodule and two capture cavities to support the Integrable Optics Test Accelerator (IOTA) ring to support accelerator R\ D through 150 MeV electrons from RF linear accelerator. CTI 1500 Cold Box provides up to 300 Liters per hour of liquid helium. The system has 4 Kinney vacuum pumps to enable 2 K operation. Test Stand 3 – magnet tests including LCLS-II SPQA, Mu2e HTS lead and splice. Test Stand 4 – being modified to support HI-LUMI horizontal magnet testing. LTCF – low temperature calibration of instrumentation including RTDs. Vertical Test Stands (VTS) – 3 test stands for SRF cavity R&D and qualification tests for LCLS-II and other projects. 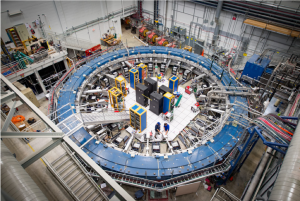 Vertical Magnet Test Facility (VMTF) – Magnet R&D and tests. Three Tevatron style satellite refrigerators capable of ~1000W at 4.5K. A Kinney vacuum pump enables 2K operations to support single cavity loads of 10-20W. Horizontal Test Stand (HTS) – Integrated cavity tests with fundamental power couplers and tuner, supporting LCLS-II 1.3 GHz and 3.9 GHz testing. 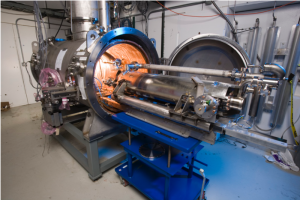 Spoke Test Cryostat (STC) – PIP-II 325 MHz Single Spoke Resonator integrated cavity tests, and being upgraded to test 650 MHz cavities for PIP-II. Rapid Cycling Magnet Test Stand – International Advanced Accelerator R&D Fast-Cycling SC Magnets Tests. 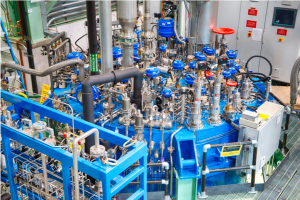 The helium cryogenic system consists of two Mycom screw compressors (60 g/s) supporting a 600 Watt at 4.5 K cryogenic plant previously used for the Tevatron Collider Detector Facility (CDF). 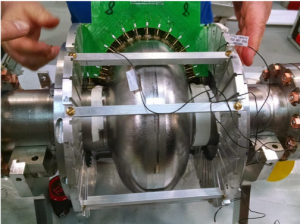 Testing of superconducting transport solenoids (14) for the future Mu2e experiment at Muon Campus. The test stand in the CDF pit consists of a cryostat with two removable top heads where solenoids are mounted and then inserted into the cryostat. 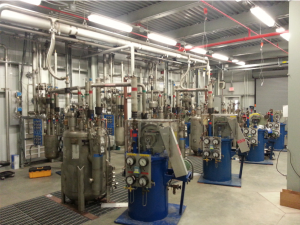 Consists of four Mycom compressors at A0 supporting four refurbished Tevatron 600 Watt @4.5 K cryogenic plants at MC-1. Provides cooling to the g-2 experiment’s superconducting magnet (from Brookhaven) and future Mu2e transport solenoids.